Want to reach marketing decision makers on Twitter? 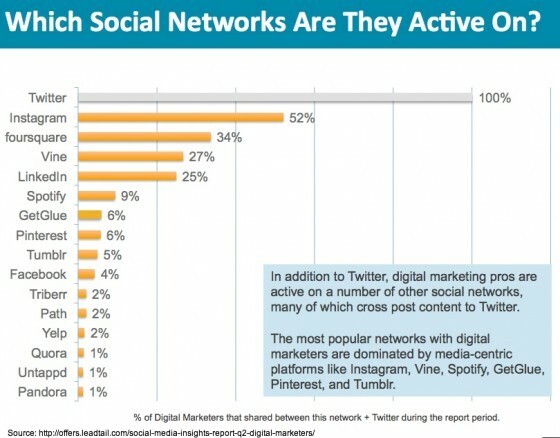 Then check out Leadtail and NetBase’s analysis “How Digital Marketers Engage on Twitter” based on the Twitter activity of 515 North American brand, corporate, and agency digital marketers between between April 1st and June 30th, 2013. Active social media users find ways to maximize content distribution. As a result, roughly four out five marketers tweet using the Twitter website or tweet buttons. The break out of apps is: 29% use Hootsuite, 20% use TweetDeck and 11% use Buffer. Further, there’s wide array of cross sharing at lower rates. 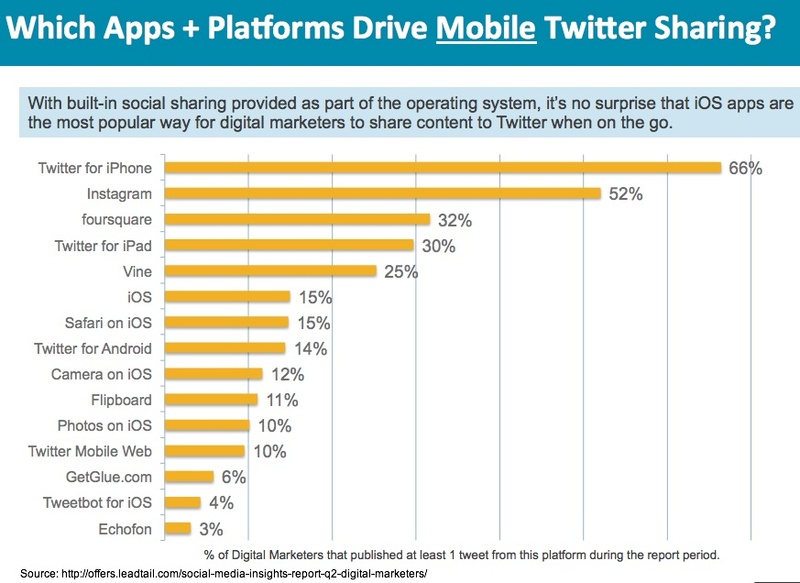 It’s no surprise that active Twitter marketers cross-shared with Instagram and Vine, two platforms also focused on short form content. 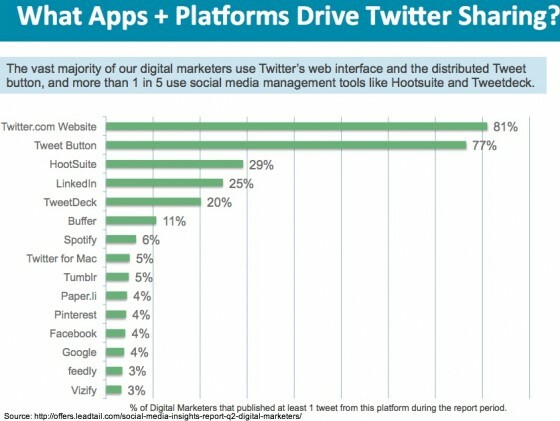 80% of the content shared on Twitter by marketers is media; 45% is mainstream media and 35% is industry specific media. It’s worth noting that the list includes traditional media outlets like Forbes, the New York Times and CNN as well as online-only entities like the Huffington Post, Gizmodo and Google. By contrast, only 2 of the industry sources have traditional media roots, Advertising Age and Ad Week. The cross promotion of YouTube videos topping the list is interesting since YouTube is the second largest social media site and the second largest search engine. 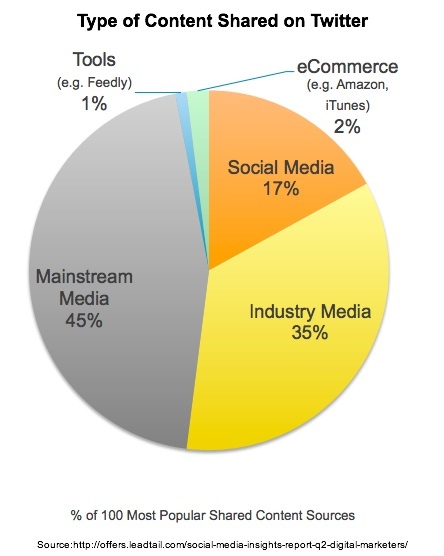 Also of note is the presence of SlideShare, which has fast become a B2B content staple. Since photos are easy-to-snap, share and consume, it makes sense that they account for a large portion of the options. Using a mix of tools and devices marketers are highly engaged on Twitter. 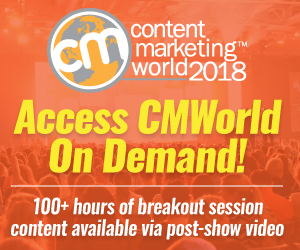 Due to Twitter’s short content allowance (140 characters), much of marketers’ conversation references other media sources, both mainstream and industry focused. What other insights do you draw from this research? Tags Chart, Jay Baer, Leadtail, NetBase, Twitter. Bookmark the permalink. 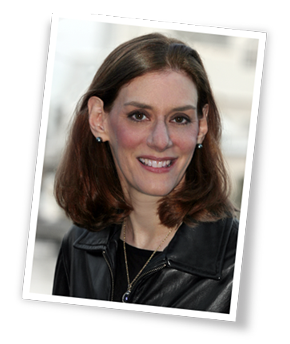 ← Are You Winging Content Marketing Strategy? Heidi, these research charts are quite fascinating to observe as social media becomes more and more prominent in our booming technological society. I was shocked to observe the third chart and see that only 4% of Twitter marketers cross-share with Facebook. It seems to me that Facebook and Twitter are the two most prominent social media outlets, but apparently Instagram is expanding at a record breaking rate. You have presented some interesting insights Heidi. I was a bit surprised to see the list of to ten social media sources on Twitter. I somehow didn’t expect LinkedIn and Foursquare ahead of Facebook.